As a member of the SAP Basis Team, the person will be responsible for the design, implementation and technical support activities required to maintain a SAP environment ... and implemented successfully. The person may participate in a number of projects that streamline processes and add functionality to the SAP implementation. Companies presently offering Sap job vacancies in Cape Town City Centre include Shoprite, Shoprite Group, Datacentrix.. 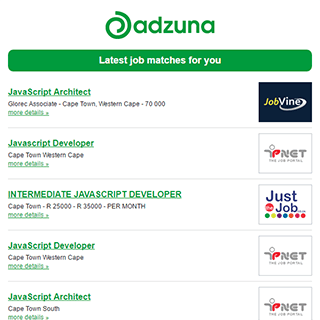 The Adzuna recency index score for this search is 0.70, suggesting that demand for Sap job vacancies in Cape Town City Centre is decreasing. 4 new job listings for this search have been found in the last calendar day, compared with 14 in the last 72 hours and 47 in the last week. The largest category under which open Sap jobs are listed is Accounting & Finance Jobs, followed by IT Jobs. Get the latest Sap Jobs in Cape Town City Centre delivered straight to your inbox!